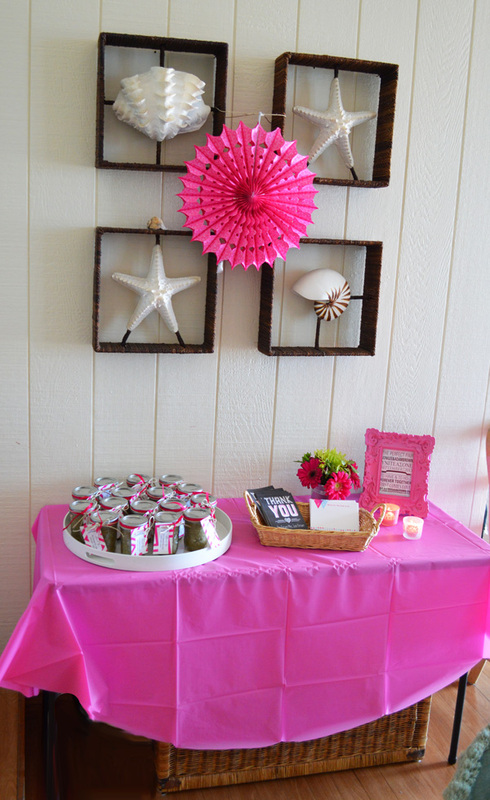 Last weekend I helped throw my girlfriend's bridal shower and it turned out fabulous! 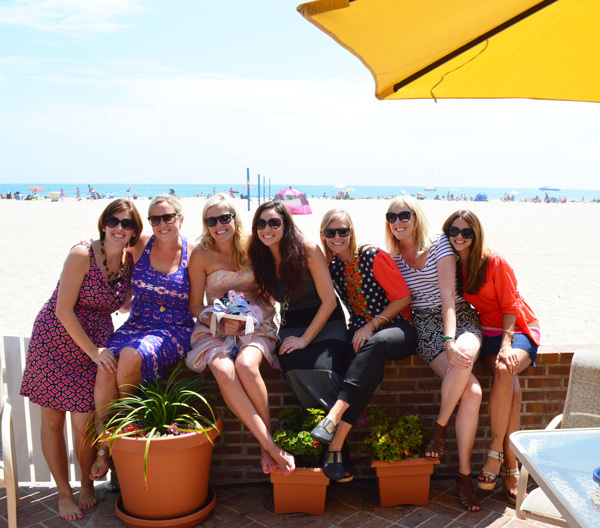 We hosted it at a friend's family beach house in Newport Beach, CA and the weather was perfection. 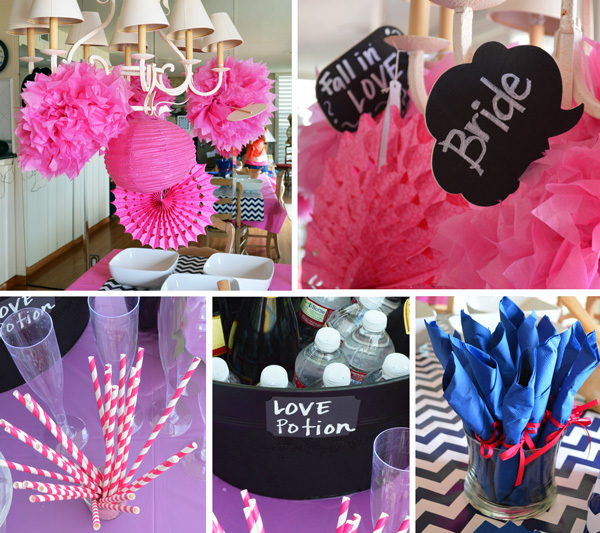 The bride requested that we use her wedding colors, navy blue and pink, and we coordinated everything from there. Each bridesmaid took on a few tasks (mine were flowers, favors and paper goods), and it all came together nicely, without us spending a fortune! 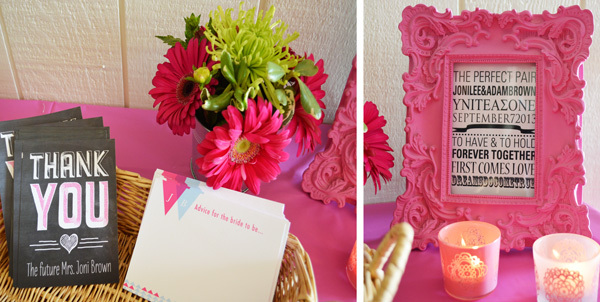 Entry table with favors, advice cards and thank you postcards. 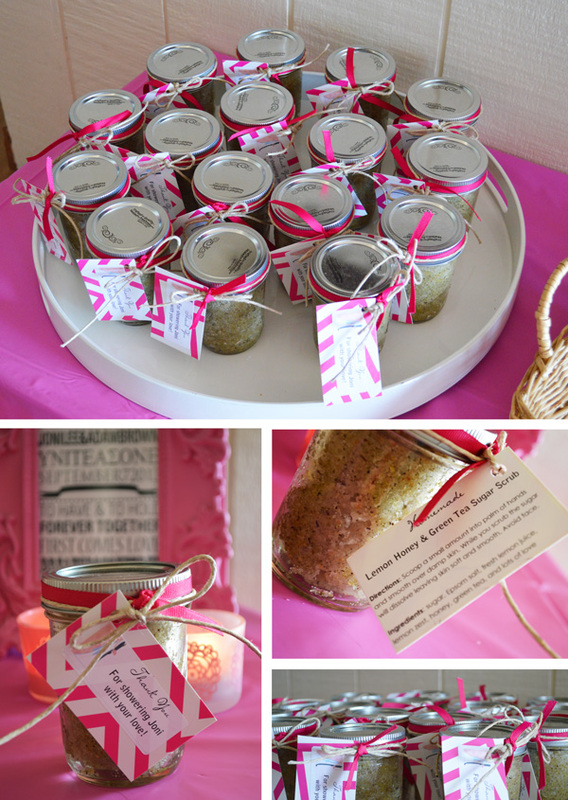 I made homemade Lemon Honey & Green Tea Sugar Scrub for the shower favors (recipe found here). I wanted to do something unique, that each guest would take home and actually use! The scrub was packaged in a mason jar (purchased in bulk at Walmart) and for the tags I cut up pink & white chevron paper plates in the shape of a rectangle (I had extra plates), used envelope labels to print the info for the front and back, which I then stuck on each tag. 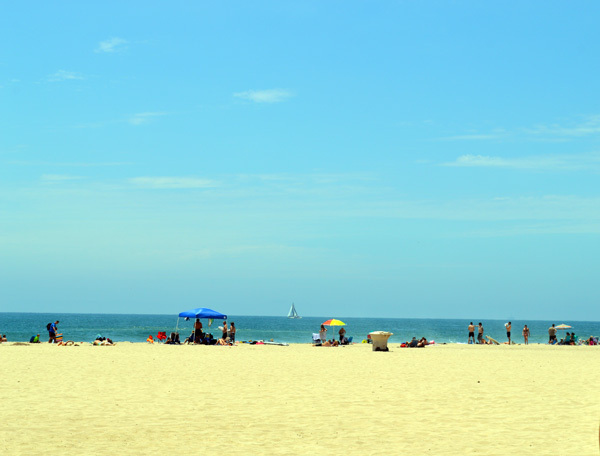 It was easy breezy! I then tied each tag with hemp twine (Walmart) and a pink ribbon. They were a huge hit! 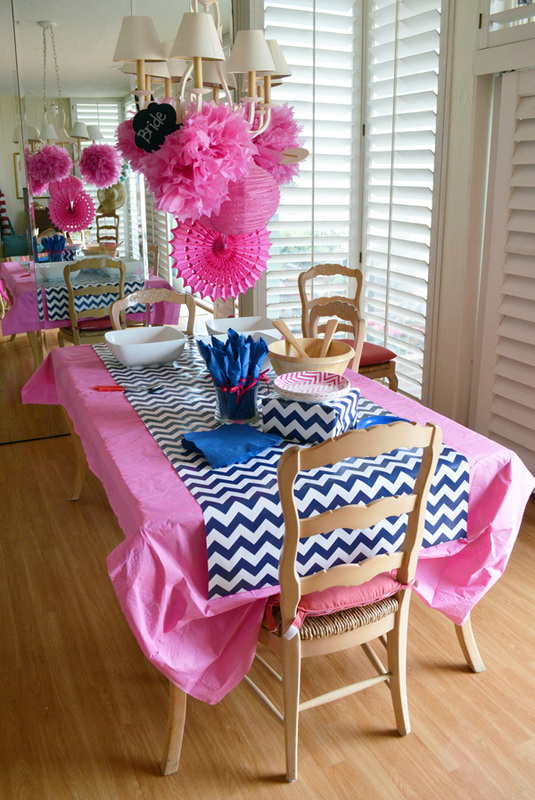 We created a simple pop pom "chandelier" above the food table and used chevron wrapping paper (found at Homegoods) for the table runner! 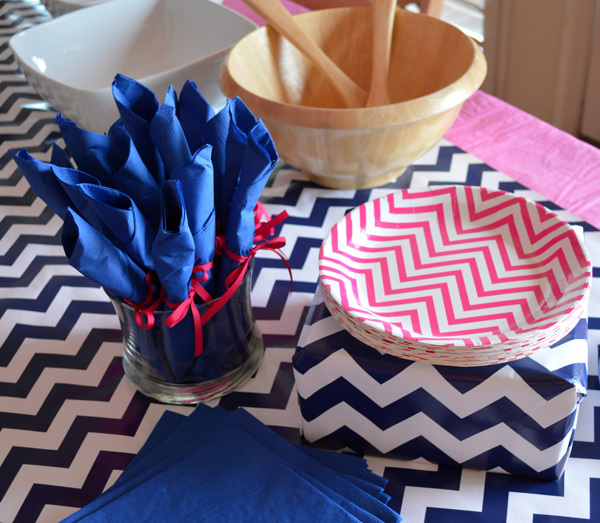 I rolled the clear plastic utensils in navy paper dinner napkins (via Party City) and tied them with a pink ribbon. 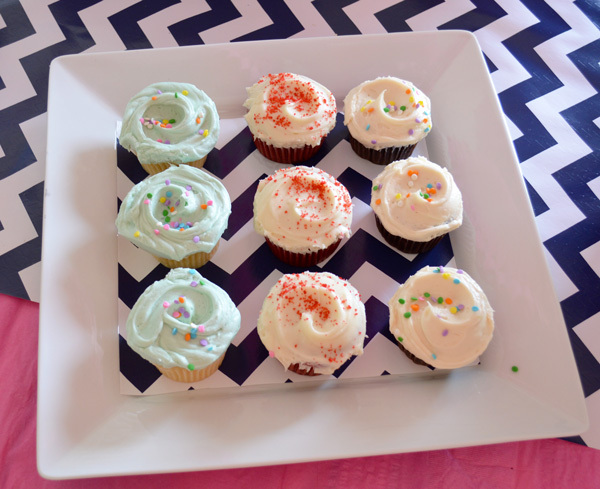 The adorable chevron paper plates were ordered online from Shop Sweet Lulu (you HAVE to check out their shop!). 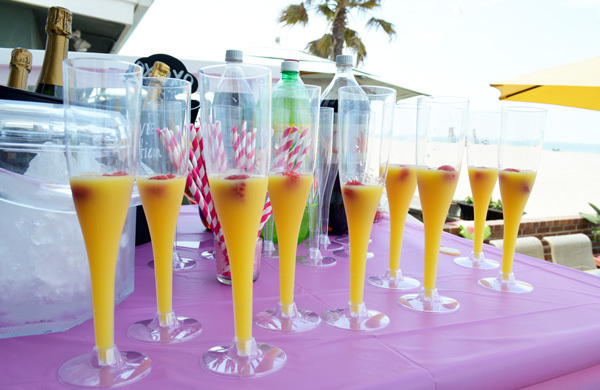 Champagne flutes were filled with orange juice and a raspberry garnish, which gave guests the option to add chilled champagne to make a mimosa. 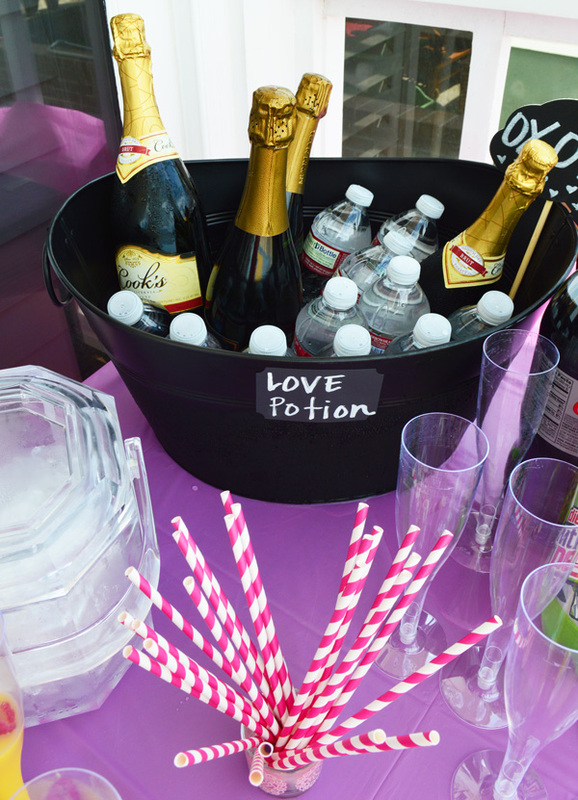 The striped paper straws (via Etsy) were a fun touch to the beverage table, along with the love potion label on the drink bucket! 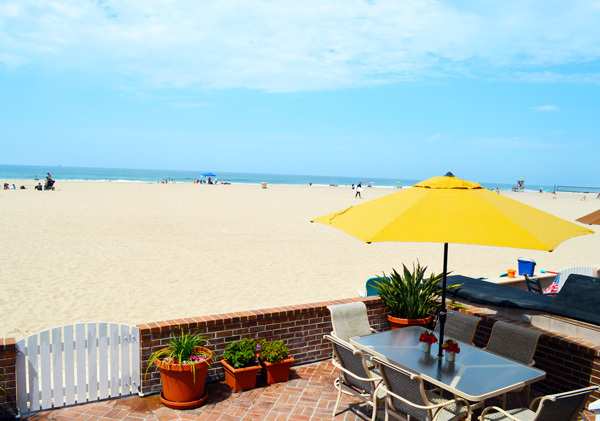 The gorgeous view from the back patio of the beach house. 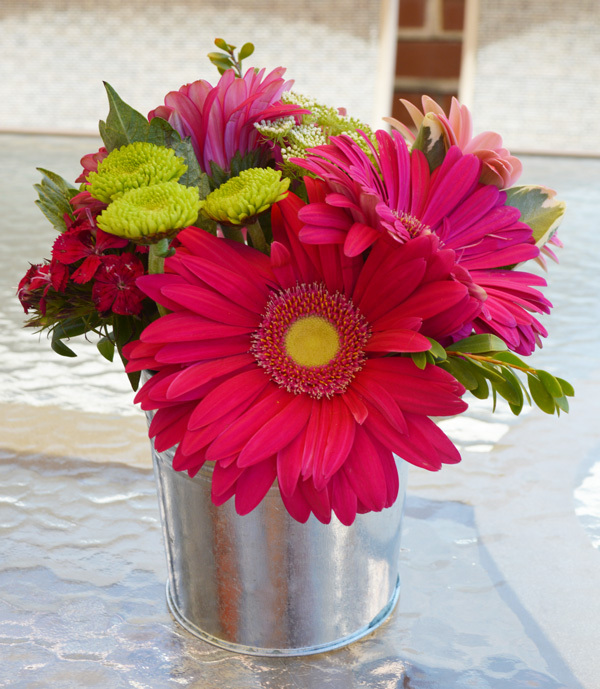 I created simple centerpieces using these cute little galvanized buckets (from Walmart for $1.99 each) and flowers from Costco, purchase the day before. I bought a couple dozen gerbera daisies ($8.99 each) and a large mixed bouquet. The morning of the shower, I cut up floral foam and placed in the bottom of each bucket, filling each one halfway with water, then layered in the flowers and greens. The floral foam made it so easy! Yummy cupcakes purchased from The Sugar Me Bakery in Orange. The bride (3rd from left) and all of her bridesmaids. 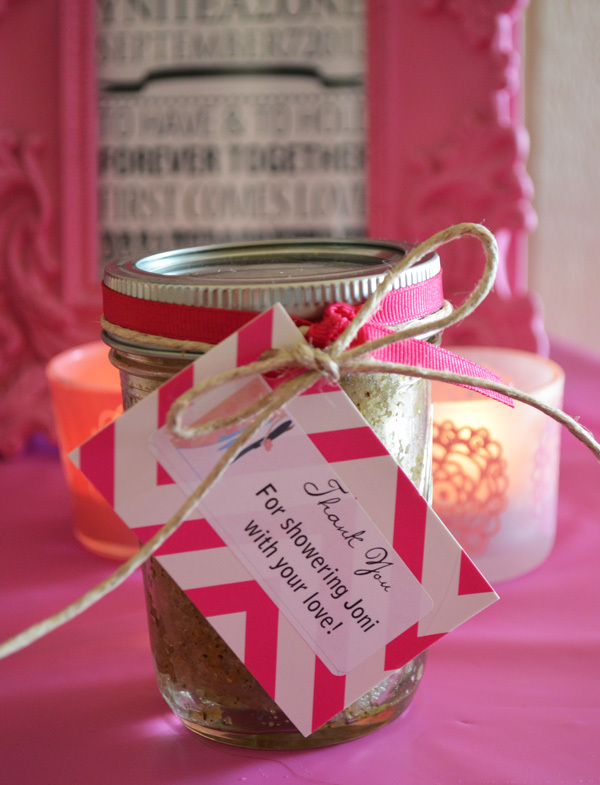 We sent each guest home with a homemade sugar scrub favor. All in all, it was a beautiful shower, with great friends, good food and lots of laughs (and a little sentimental crying too :). Such a gorgeous event! I love your dress by the way. So flattering. I know I had seen it before and I can't quite place where, but it looks lovely on you just the same. Thank you! 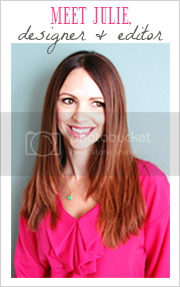 I bought it from a cute little boutique called Francesca's Closet. You did a wonderful job. People need to not sleep on grocery store floral arrangements. 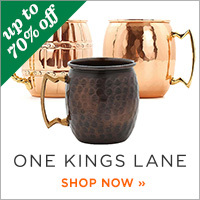 They are great for smaller shindigs like this.